Thank you so much for letting me come onto your blog. What I thought I’d do, is chat about some of facts behind The Girl in the Painting. 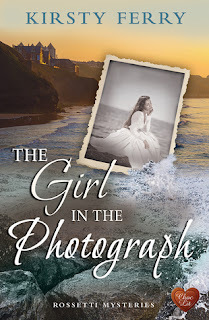 The book is the second in the Rossetti Mysteries series, and immerses us in the world of the Pre-Raphaelite Brotherhood, thanks to a timeslip caused by a haunted diary. Dante Gabriel Rossetti, one of the main people I fictionalised in the historical part of the book, was one of the founding members of the Pre-Raphaelite Brotherhood, a group of Victorian artists who were quite rebellious in the way they wanted to portray art. Rossetti fell in love with Lizzie Siddal, a red-headed beauty plucked from her work in a milliner’s shop and catapulted into fame as one of the most famous Pre-Raphaelite models – some people say she was, in fact, the first supermodel; and she definitely became a celebrity of her time. I also fictionalised her in The Girl in the Painting, and it was intriguing to trace Dante and Lizzie’s relationship and wonder at the psychology, almost, behind it. Lizzie and Rossetti had what some might say was an obsessive relationship; but it was certainly passionate, and, quite possibly mutually dependent. Rossetti, however, did have a penchant for falling in lust with redheads, and many of his paintings depict them. However, one notable exception was Jane Morris, the wife of his good friend William Morris, who had long, dark hair. Rossetti also fell for Jane, and they were lovers from about 1865 until 1894 (Lizzie died in 1862, so this relationship, at least, didn’t seem to be one of his numerous affairs!). Anyway, a couple of weeks before The Girl in the Painting was published in paperback, I visited the Victoria and Albert Museum in London. My intention was solely to see the clothes – I love historical fashion and one of the first things I do when I’m researching a book is to search for clothing my characters can wear, then put the resulting images on my Pinterest board so I can look back at them. To get to some of the V & A galleries I wanted to see, I had to go through the paintings and I scurried through the first couple of rooms as we were quite time-limited (my husband and son had almost agreed to go there on sufferance, so long as we did the Science Museum and the Natural History Museum afterwards!). I rounded a corner in the paintings gallery and had to admit I let out a yelp of delight. Fortunately, we were the only people in that particular room, or I might well have been escorted off the premises! Right in front of me, was a huge portrait of Jane Morris – and in gold block lettering on the bottom was the legend Dante Gabriel Rossetti. The picture in question was The Day-Dream, and even my husband was quite impressed. My son was still focused on space shuttles and dinosaurs, but never mind. Whilst standing engrossed in her favourite Pre-Raphaelite painting - Millais's Ophelia - Cori catches the eye of Tate gallery worker, Simon, who is immediately struck by her resemblance to the red-haired beauty in the famous artwork. The attraction is mutual, but Cori has other things on her mind. She has recently acquired the diary of Daisy, a Victorian woman with a shocking secret. 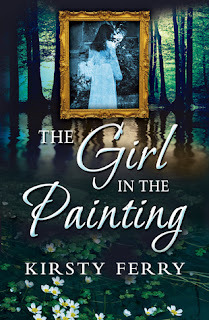 As Cori reads, it soon becomes apparent that Daisy will stop at nothing to be heard, even outside of the pages of her diary ..
Will Simon stick around when life becomes increasingly spooky for Cori, as she moves ever closer to uncovering the truth about Daisy's connection to the girl in her favourite painting? Huge thanks to Kirsty for being my guest today and also to Choc Lit for the kind invitation to be part of the blog tour today. Thanks for being a great guest,Kirsty. Jaffa loves the pre-raphaelites - all that glorious red hair !! Very interesting post, Kristy. I enjoyed it very much. I wish you continued success with your books. 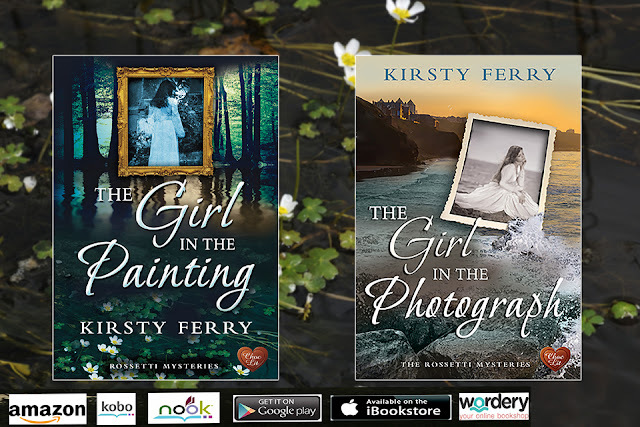 Thanks so much for taking the time to read Kirsty's guest post. Much appreciated.